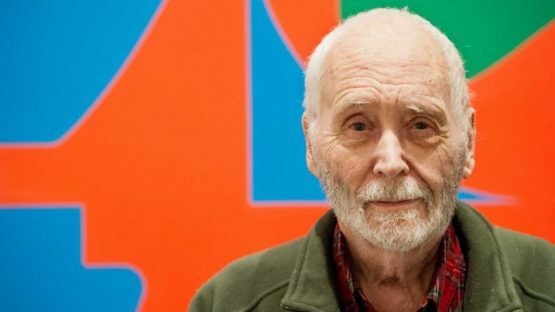 Robert Indiana was a prominent American artist, who rose to fame in the 60’s, and played a major role in Pop Art, hard-edge painting, usage of bold and bright elements and expansion of assemblage art. 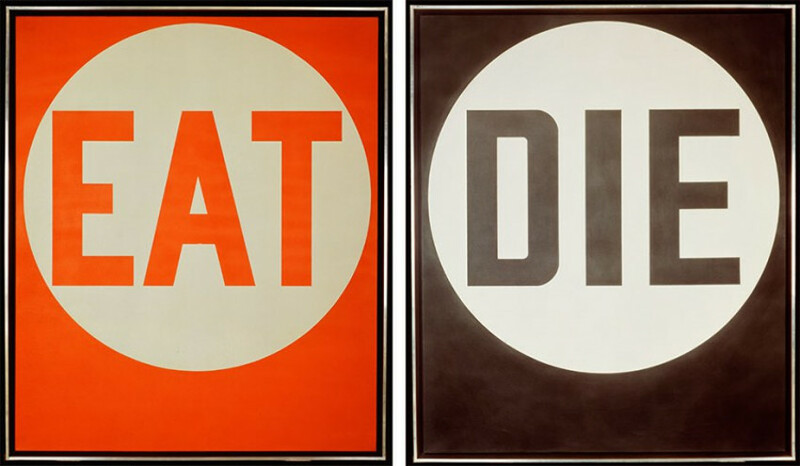 He used to describe his own work as painting of signs, as he liked to explore the contextual power of words, their meaning, and reference. Indiana explored literature, fiction, searched for great American writings, and founded valuable legacy that shaped the nature of contemporary art. Many other creatives followed his path and used words as central symbols and subjects in their art. The most famous piece he made is the LOVE paintings, which became so popular, that Indiana later claimed it was too popular. He wanted to make exclusive artwork, and even though he was proud of the Love series, he wanted to distinguish himself from Pop Art and later in career addressed social and political issues. 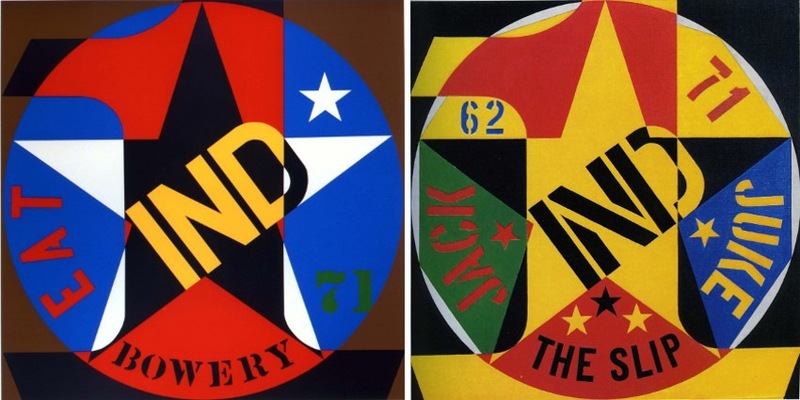 Robert Indiana was born as Robert Clack in New Castle, Indiana, in 1928. He was adopted by loving family when he was just a baby and spent most of his childhood years moving throughout the country. He started showing artistic inclinations at an early age, and luckily enough his elementary school teacher noticed that. When he was only a first-grader he started drawing and telling everyone he wanted a career in art. In 1942, Robert Indiana moved to Indianapolis to attend Arsenal Technical High School, which was the best possible option for him at the time, giving that his major talent required serious education, and his good grades got him a place at this prestigious school, known for quite advanced curriculum. After graduation Robert Indiana joined the US Air Force, and then made one of the best decisions in his career, to study at the Art Institute of Chicago. His rich formal education continued at the Skowhegan School of Sculpture and Painting in Maine, and later in Europe at the Edinburgh College of Art in Scotland. After completing education, he moved to New York in 1956 to join a community of creatives who were open-minded enough for him, and willing to explore and evolve. Some of them were loving lady of minimalism Agnes Martin, James Rosenquist and Jack Youngerman. Indiana lived in the neighborhood called Slip, that was a big port, full of plants, trees, and beautiful colors. The rich environment had a profound impact on his work, and a lot of his early works embody hard-edge images of ginkgo leaves seen in the parks near the port. The painter and sculptor liked to go on spontaneous hunts for material, wandering downtown and visiting various warehouses and sheds. He made sculptures by assembling rusted metal parts, wheels, wooden beams and leftover material from shipping trades. Indiana reached a turning point when he discovered 19th-century brass stencils, which inspired him to make his own stencil with a combination of vividly colored numbers and brightly written words, with a strong emotional message. He used this method for sculptures as well as canvases, as the main foundation for his creative expression. His work started to get a lot of attention and in 1961, the collection of his artwork called The American Dream, I gain much admiration from the audience and critiques, giving that theme profoundly explored the elusive property of American Dream. His pieces were defined and trapped in chains of Pop Art, and although he didn’t deny his involvement in the movement, he liked to expand the limits of Pop label. The essence of his work was not the mass appeal or the need to be pleasant looking and likable, it was more rooted in political allusions and social and economic references. The most important reference for Indiana was one of the literary kind, the first one appearing in a painting called The Calumet and Melville which he proudly exhibited at his first solo show in 1962. His first large work was a 20-foot EAT sign at New York State Pavillion, made of flashing lights. The EAT sculpture was appointed in 1964 by great American architect Philip Johnson in 1964 at the World’s Fair in New York City. The electrified sculpture made of five six-foot disks spelling the word EAT. Many people, incorrectly, thought it was a sign for a restaurant, however, it was a sign of Indiana’s greatness. Indiana spent the 1960s creating marvelous works, collaborating with major painters and sculptors, like Warhol, with whom he made a featured movie named Eat. The movie was an experimental silent portrait of Indiana eating a mushroom in his studio. The artwork that changed everything was the LOVE image that premiered somewhere in 1966. The LOVE image first appeared in the paintings Four Star Love. Love was not just a symbol of trust in the life process, the ultimate fulfillment, for Indiana love was a driving force of life and something of spiritual significance. The first time he saw similar writing was at a local church he attended with his parents, and ever since then it remained in his memories as something of great importance. The Museum of Modern Art selected the image for their 1965 Christmas card. It quickly became a hit all around the States and was accepted by mainstream culture, and later members of the hippie movement who called themselves Love Generation. After the LOVE image appeared on United Service postage stamp, in 1973, it reached an international success. It was printed and reprinted everywhere, from posters to the postcard, to clothing, badges, and rubber stamps. The image was reproduced in so many ways, that Indiana, unfortunately, couldn’t stop the mass production of objects with his artwork. A lot of art critiques failed to show sympathy and understanding and accused the artist of being a sell-out. Those assumptions were incorrect, as Indiana always openly spoke about the profound motivation for his creations. LOVE was initially created by stacking letters in series of rubbings. He even changed the colors and used hard edges to make the subject emphasize its meaning even more. The artwork is still very popular and loved, accepted everywhere as an icon of modern art. 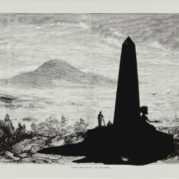 To date, his work has been exhibited in numerous individual and collective shows across the globe, and his oeuvre is in the permanent collections of such notable museums as the MoMA in NY, the Whitney Museum of American Art in NY, the Smithsonian Museum of American Art in Washington, D.C., the Museum Ludwig in Cologne, Germany, the Museum Ludwig in Vienna, Austria, and Israel Museum in Jerusalem, among others. The artist died on May 19th, 2018 at his home in Vinalhaven, Me. He was 89.